GitHub - anthonyec/bigscreen: 🖥 Display web content fullscreen, forever. 🖥 Display web content fullscreen, forever. 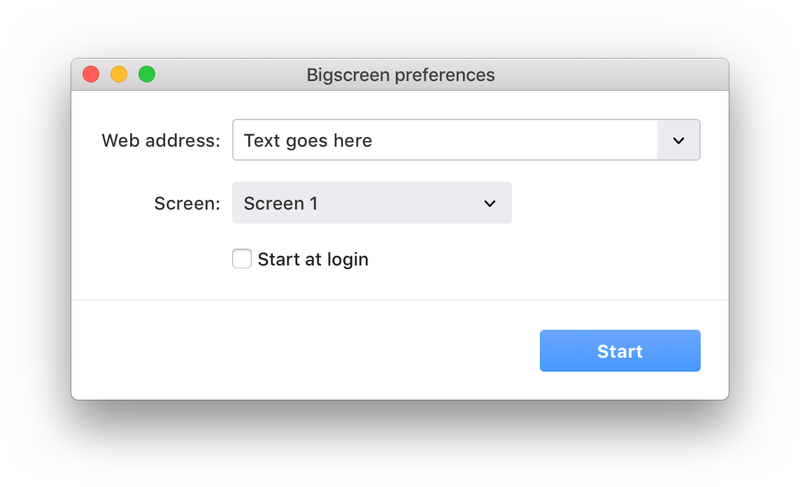 Want to be notified of new releases in anthonyec/bigscreen? Display web content fullscreen, forever. Fullscreen: Hides the cursor, menubars, notifications and other system stuff. Multi-monitor: Content can span the width of all screens plugged in. Always awake: Disables computer sleep and screensaver when running. Crash-proof: The web page will reload automatically if it crashes or becomes unresponsive. Customisable: Easily white label for clients and build with specfic options set from one configuration file.